Celebrities have to get around just like the rest of us, and they aren’t always relying on other people to take them places. In fact, many of them drive their own cars on a regular basis. Here are the surprising and unique daily drivers of the rich and famous. 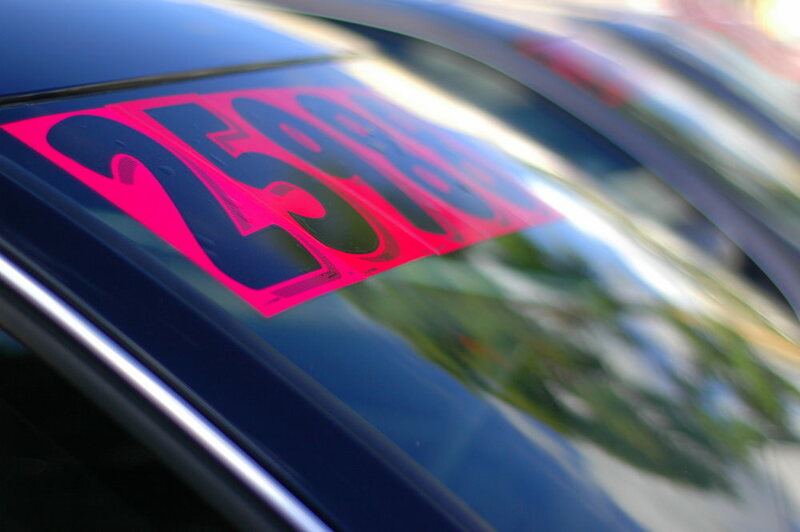 Used car shopping can be stressful, especially if you do not know what to look for. The last thing you need is to drive away with a problematic vehicle. Do yourself a favor and review this list of expert-recommended used cars so you have a better idea of the most reliable models. View our inventory online or give us a call at 409-385-0409. Did you know interior vehicle temperatures can reach upwards of 134°F on an 86°F day? When it’s already hot outside, the last thing you want to do is get into a scorching car and wait for it to cool down. Follow these seven tips to keep your car cooler while parked! This may seem like a no-brainer, but it is one of the easiest ways to keep your car cooler while parked. When out running errands, look for parking spots shaded by trees or a covered parking structure. If these aren’t available, park facing away from the sun so that the driver’s side isn’t in direct sunlight. At home, park in the garage or under a carport, if possible. Not only will this keep your car cooler, but it will also keep it looking newer – the less sun exposure to your car interior, the better. This is the most effective method of keeping your car cool. Put up a windshield visor every time you’re leaving your car for more than a few minutes. For optimal coolness, fit a visor to your rear window as well. You can also invest in window vent visors – tinted plastic visors that keep individual passenger windows shaded. Don’t let the hot air settle in your car. While we don’t suggest rolling the windows all the way down, cracking the windows will go a long way toward keeping air moving while parked. Just make sure the opening is smaller than the width of a hand and arm! Leave the doors open for a minute to let most of the hot air out before getting in. You can also turn on the air conditioning to full blast, shut all the doors and give your car a few minutes to cool down before driving. This is ideal for cars with a remote starter. It’s hard to maintain optimal control of your vehicle when your steering wheel is burning your hands. Oven mitts don’t make good driving gloves, so put a light-colored towel over your steering wheel before leaving the car instead. This will protect it from excess heat and save your hands when you’re ready to drive again. If you’re looking for a more permanent solution, try a fabric steering wheel cover. Nothing is worse than getting into a car with a leather or vinyl interior during the summer. Cover seats with towels when not in use so they can soak up the extra heat. Remove the towels when you are ready to drive for cooler seats. Though you’re less likely to scald yourself on the dashboard, it’s a good idea to cover it with a towel or windshield visor to protect it from additional sun exposure. This will also keep your car cooler and prevent drying and cracking. Combined with cracked windows, a solar-powered fan will keep air circulating or expel hot air from the car. Constant circulation will lower the overall temperature of the car interior. We all know Texas summers are unbearably hot – don’t let your broken A/C leave you sweating! Whether you’re facing an easy fix or larger mechanical problems, Silsbee Motor Company’s service department offers the best automotive services to our customers. If your current car isn’t up to the task of a Texas summer, check out our inventory of new and certified pre-owned vehicles! Give us a call at 409-385-0409 or contact us online today! Whether you’re dealing with a chipped windshield or a larger mechanical issue, the service technicians at Silsbee Motor Company know just what your vehicle needs to be restored to its former glory. Or if you’re ready for a new ride, you’re sure to find the car of your dreams among our selection of new and certified pre-owned vehicles. For more information call 409-385-0409 or contact us online. To setup your service appointment, click here. When you’re searching for a new vehicle, it can be intimidating to scour the lots filled with factory-fresh cars, trucks and SUVs. Yet, many people are under the mistaken impression that buying a brand-new vehicle is the only way to go. If you’re feeling pressured to buy new and are struggling to find your ideal ride on the lot, know that buying used is just as beneficial as buying new, if not more so. It seems American car buyers are finally catching on to the used car revolution sweeping the globe. According to Forbes, America experienced a 6 percent growth rate in pre-owned vehicle sales in 2016, while UK used car buying was up 51 percent.1 Americans may be slower on the uptake, but it’s becoming clearer why used cars are the way to go. Why Are New Cars So Desirable? We get it. The new car smell. The new leather feel. The unbeatable fresh-off-the-assembly-line shine. New cars look and feel amazing. Often, the appearance is the only thing driving a car buyer to look exclusively at new vehicles. While it’s true that new cars look great, the appearance only lasts so long. Eventually the shine wears off, the smell fades and the leather seats become a little more worn in, leaving you with a vehicle that looks just like an older model. New cars also carry the promise of optimal function for years to come. When you purchase your new vehicle, you often expect to only have minor maintenance costs for the first year or two, rather than major repairs right out the gate. Additionally, the long list of high-tech features can entice a car buyer to purchase new. After all, who doesn’t want a smartphone built into their car? How Does a Used Car Measure Up? When you think about it, new vehicles are desirable because of their appearance and assumedly better function, but used cars can be of equal quality when cared for properly. When people think of a pre-owned vehicle, they often think of something that’s been on the road for ten or more years, but this isn’t necessarily the case. Many dealers also offer “lightly used” models that are only one or two years older than the brand-new vehicles they have on the lot. This means many of these cars have an attractive, modern appearance and many of the same features and technologies you may want in a car. From backup cameras to built-in navigation assistance, used models can be every bit as advanced as the latest model year. As far as repairs go, if you know where to buy, you needn’t worry about accidentally purchasing a glorified trash heap. Used cars still come in “like new” condition with updated or recently repaired parts. You just have to know where to look. If you aren’t as versed in car lingo as you’d like, you can trust a used car certification program to help you choose a car that’ll last. When going to a dealership, ask about the extended warranties or certified pre-owned programs they have available. These programs guarantee the quality of the vehicle you purchase and will cover repairs and maintenance for as long as the warranty states. If they don’t offer a certification or warranty, you know to look elsewhere. Let’s get down to brass tacks. Price is a major factor to consider when purchasing a car, and, luckily, pre-owned vehicles can save you thousands. New cars cost a lot of money, but did you know that as soon as you drive them off the lot, their value depreciates rapidly? This leaves you with more debt than your vehicle is actually worth. Used cars, on the other hand, are cheaper and their value doesn’t depreciate at the same rate as a new vehicle. You get more bang for your buck. In addition to saving money at the sale, you’ll also save on registration. Registration fees are usually based on vehicle value and model year, so a used car at a lower value from five years ago, for instance, will have a significantly lower fee to register than a brand-new sports car. The appeal of a new vehicle may be powerful, but you’ll only end up walking away with more debt and a slightly newer ride. Forget the extra fees and higher price. A used car from a reliable maker can last just as long as a new car with attentive care and preventative maintenance. If you’re ready to make the commitment to finding a new-to-you used car, truck or SUV in Silsbee, make sure your dealer knows their pre-owned vehicles. At Silsbee Motor Company, we specialize in used vehicles and offer only the finest quality maintenance and service. You’ll never experience high-pressure sales tactics or receive vague vehicle histories with our friendly sales team. We build relationships based on transparency, honesty and respect with each and every customer and ensure every client drives off in a car they can feel good about. Contact us online or call 409-385-0409 to schedule your test drive today! 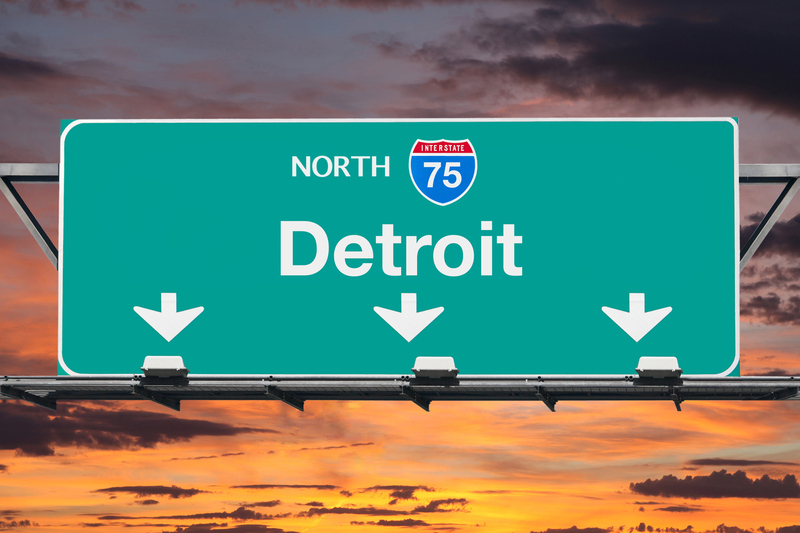 With the Detroit Auto Show in the rearview mirror, now is a great time to take a look at the highlights from the week-long celebration of automotive ingenuity. The annual car show unveils the most-anticipated new cars, trucks and interesting new concepts set to hit the market later this year, and this year’s iteration had plenty of hits. Here’s the best of the 2018 Detroit Auto Show. Pickup trucks continue to be a hot commodity in the auto industry, evidenced by Ram Trucks, the Chevrolet Silverado and the Ford F-Series being the top selling vehicles in America in 2017.1 The trend looks to continue as the major pickup truck players rolled out some promising new additions last month. Ram 1500 – Experts were impressed with the Ram’s newest installment primarily because the weight has been reduced by an estimated 200 pounds, yet the body is nine inches longer. Other highlights include a 12-inch dash screen and interior upgrades featuring luxury vehicle-esque seating and comfort. Chevy Silverado – Chevy’s classic pickup truck unveiled some impressive structural and performance upgrades, like increased highway gas mileage, an inline six-cylinder turbodiesel engine and lighter suspension and aluminum siding, helping the new Silverado weigh a whopping 450 pounds lighter than the previous generation. Ford Ranger – Ford is making a statement in the midsize pickup market with its 2019 Ford Ranger. The North American version looks to be more compact while still featuring a steel body, a 2.3-liter, 280 horse power engine and spring-leaf suspension. Upgrades to classic vehicles are always welcome, but what would a car show be without something a bit more unique? Although there wasn’t a life-sized Lego Batmobile this year as there was in 2017, there still were plenty of new concept designs on display throughout the course of the week. Lexus LF-1 Limitless – The luxury automaker unveiled its new crossover concept the LF-1 Limitless, which carries a distinct copper paint job that was a hit among show goers. The crossover’s exterior is extremely sleek with a fluid appearance and low ceiling. The interior features an array of LED touch-control technology in a unique minimalist design with no protruding knobs or buttons. GAC Enverge – Chinese automaker GAC revealed its Enverge concept, a smooth-looking electric car capable of traveling more than 370 miles on a single charge. The concept vehicle has a variety of interesting features, such as the all-digital dashboard, the “floating” dash screen and the large gull-wing doors. Ford Mustang Bullitt – Ford’s new Mustang Bullitt gives homage to Hollywood while maintaining what made the Ford Mustang a classic. The power is still there – the Bullitt features a 5.0-liter V8 engine that tops out at 475 horsepower – but many of the features pay homage to the film “Bullitt,” like the cue ball shift knob and the Shadow Black paint job. Nissan Xmotion – Nissan’s SUV concept, the Xmotion, which is pronounced “cross motion,” attempts to bridge Japanese and American cultures by utilizing aesthetics and utility designs popular in both countries. The two-door, boxy SUV is brimming with LED technology giving it a very futuristic look. 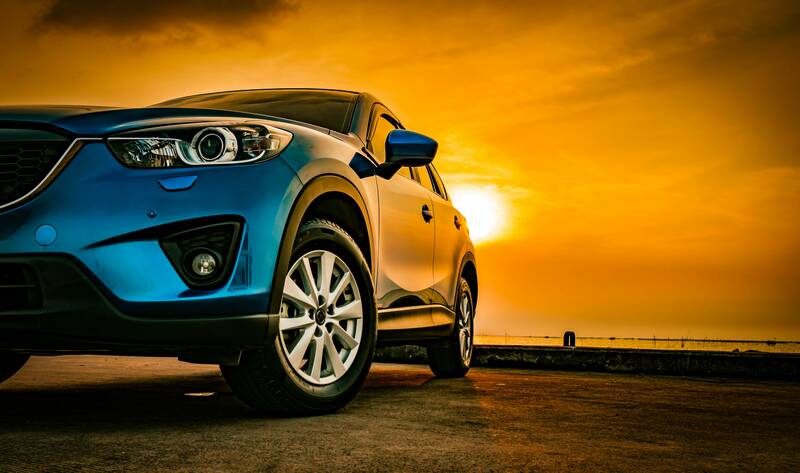 SUV crossovers continue to rise in popularity due to their great fuel economy, extra cargo space and overall practicality for everyday commuters. It’s no surprise there were plenty of new models on hand during the Detroit Auto Show from some of the industry’s top automakers. Ford Edge – The Edge received a mild makeover with some new technology sprinkled in, such as a Wi-Fi hotspot and Sync 3. Drivers can choose from the base 250-horsepower or ST 2.7-liter 335-horsepower engine. Overall, the Edge provides a unique blend of performance and practicality. Acura RDX Prototype – The new RDX Prototype was a hit with crossover fans due in large part to its solid 10-speed automatic, turbo 2.0-liter 14 engine and its classy exterior design. The interior features a push-button transmission and a simplified, yet clever touch-screen infotainment system. New cars are certainly exciting, even when they’re not high-tech concepts. If you’re ready for a new ride, Silsbee Motor Company has a large selection of quality pre-owned vehicles ready for a test drive today, including popular Ford, Chevy and GMC trucks. Contact us online or by calling 409-385-0409 for more information today! Refurbishing a used vehicle can be a long process, but if done correctly and with a little patience, it can be a rewarding experience. This is true of converting a Jeep into a rock climber as well. The process is a bit different than your traditional fix-er-up job, so it’s not quite as easy to step right into, but with some guidance you can get to work building your own rock climber and begin enjoying the thrilling hobby of rock climbing. What is a Rock Climber? 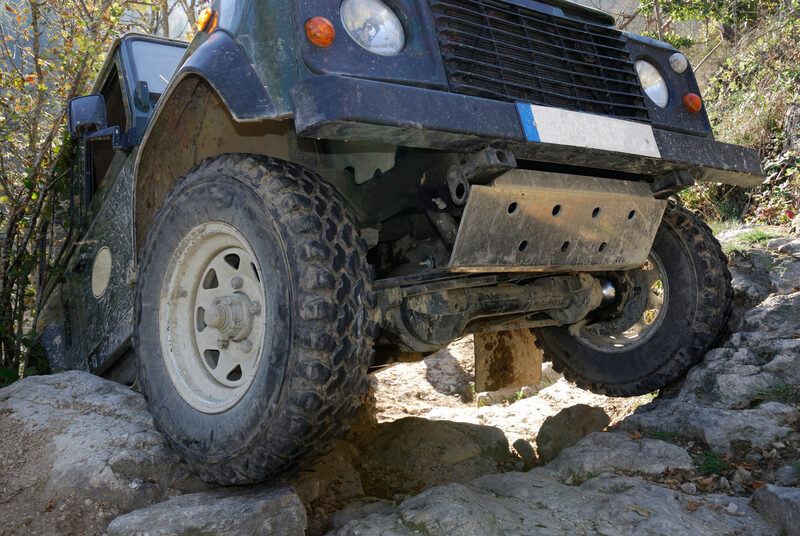 Sometimes called a rock crawler, a rock climber is a vehicle that’s been modified to perform in extreme off-road conditions. Rock climbers are designed to traverse large rock piles, boulders and rough mountain sides, often at odd or even difficult angles while driving very slowly and precisely. You don’t necessarily need a Jeep to make a rock climber, but experts agree Jeep Cherokees, Wranglers, Rubicons and other similar models fare well due to their basic design. Plus, many Jeeps are already made for off-roading and can be easily modified to better suit extremely rough terrain. It’s important to remember your rock climber will be performing in high-risk terrain, so a few dings, scratches and even dents should be expected. Plus, the modifications necessary for a rock climber can make an everyday commute less comfortable. You may want to avoid using a vehicle you plan on driving on the road often or one you wish to keep in pristine condition. Locking Differentials – In simple terms, locking differentials help keep all your wheels turning. When one wheel lifts off the ground, the locker sends power to your wheels on the ground so you can maintain traction and keep moving forward. You can use either an automatic or selectable locker. Upgraded Suspension – Leaf springs, air bags and coil spring suspension systems all are common in the rock climbing world. In general, you’re looking to keep all your tires on the ground while maintaining a high clearance, so it’s recommended you have your suspension installed above your axle. Roll Cage – The roll cage keeps you and your vehicle safe if you make a mistake while conquering a treacherous trail. Many Jeep models come standard with roll cages, but they’re often not as effective as custom roll cages built for off-roading. In general, the bigger the vehicle, the thicker and heavier you’ll want your roll cage. Recovery Gear – Traversing uneven and exotic terrain can sometimes leave your rock climber stuck or inoperable. This is where recovery gear comes into play. In the rock climbing world, a winch on the front of the Jeep is common. You can opt for a steel winch or winch rope, which is lighter. Skid Plates – Attaching skid plates to the bottom of your Jeep will protect your crucial drivetrain components from jagged rocks. Simple skid plates cover only what you need, whereas something more high-tech, such as Ultra High Molecular Weight Polyethylene, is lighter and covers the entire underside. Off-Road Tires – You’ll probably want to upgrade your tires to something much larger. In general, the larger the tire and lift package, the more clearance you get. Just remember, larger tires may be more expensive due to poorer gas mileage and additional wear and tear, and may keep your Jeep from being suitable for everyday driving. 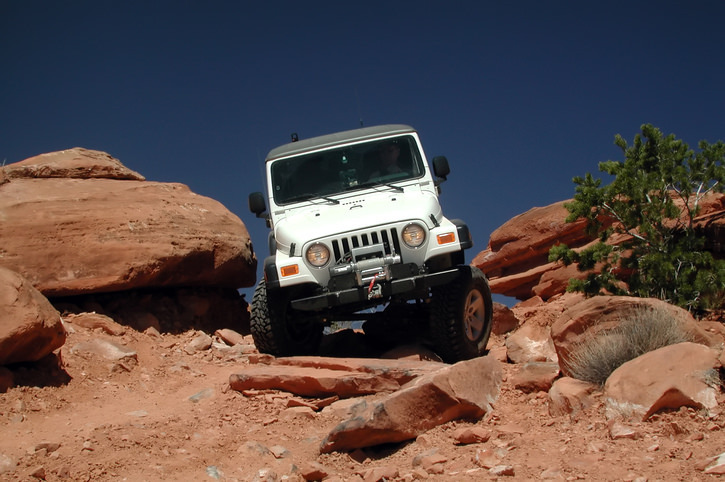 There are a few other things you should keep in mind as you plan your rock climber conversion. For instance, torque is more impactful than engine power. Since you’ll be driving in lower gears, you may not need a V8 engine as much as you need a reliable engine with powerful torque, or acceleration. Also, when it comes to the transmission, whether you prefer manual or automatic is up to you. Both work well, but some may prefer the control that a manual transmission provides while others choose automatic so they can concentrate on the road ahead. Finally, as much as converting a Jeep to a rock climber is about adding things on, it can be just as much about removing things as well. Doors, stock bumpers and rear-quarter panels can all be removed to improve weight, visibility and minimize your chance of getting caught on something. If you’re looking to convert a Jeep into a rock climber, you likely have a long, but exciting journey ahead. You can begin your journey by finding a quality used Jeep or SUV for a good price. Silsbee Motor Company has a large selection of used four-wheel drive vehicles available now. Contact us for more information about your new rock climber by calling 409-385-0409 today!